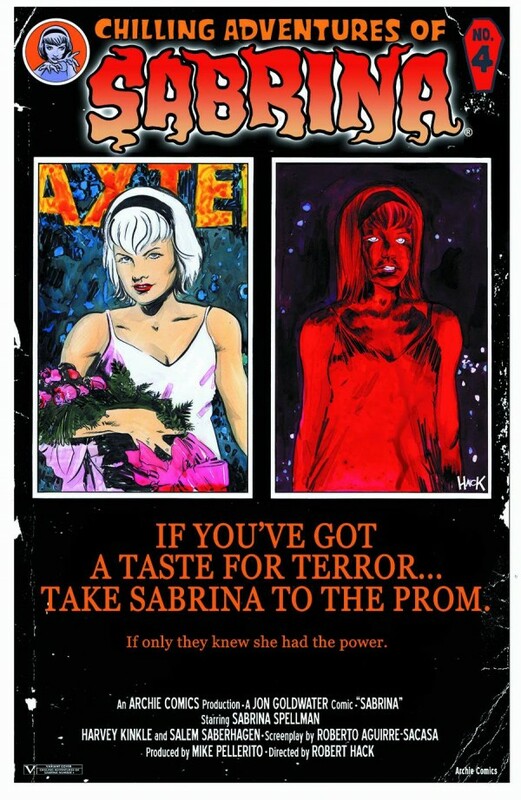 Archie comics brings us another title in their horror themed more mature series of comics with Chilling Tales of Sabrina. Like “After Life With Archie”, Sabrina is told in a serious dramatic tone with horror elements abound. The issues have been by monthly and they are up to issue 4. Variant covers have included a take on the Creepshow movie poster and a take on the original Carrie film poster. Thus showing the makers of this books love of horror. Inside,we are taken on a trip through dark witchcraft as we follow Sabrina at a pivotal point in her life. I won’t give too much away about the plot, because I think everyone should get and read this. But definitely do yourself a favor and pick this up. The artwork is beautiful and reminiscent of 70’s horror comics. This is an A+ book in my humble opinion.